Window treatment designs have evolved tremendously over the year, giving us so many options to choose from to meet our design, functionality, privacy, and safety needs. For families, safety is the number one priority, and most are unaware of all the child safe (and pet safe) options that are available to them without having to sacrifice aesthetics or control. 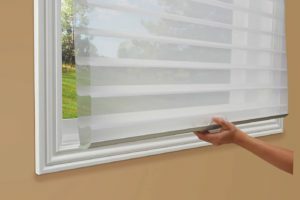 Here are the top four popular options in cordless and child safe window treatments. 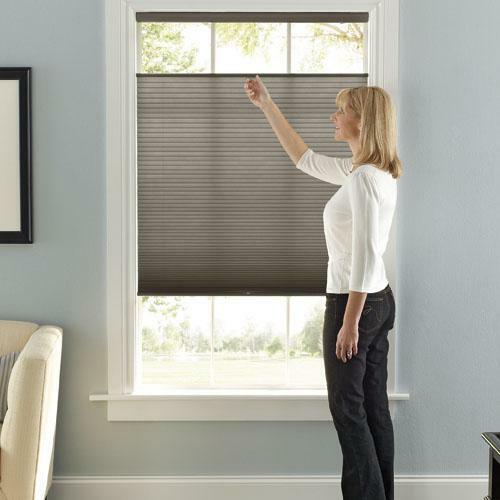 Motorized window treatments give you complete control over your window treatment, peace of mind due to improved safety, and it’s a nice tech savvy upgrade that even allows you to operate and schedule your shades via a remote, phone, tablet, or voice! With motorization, there are no visible or hanging cords and chains that can pose as a safety hazard for children and pets. Motorized options are also perfect for those who can not easily access windows such as the elderly or those with limited mobility. 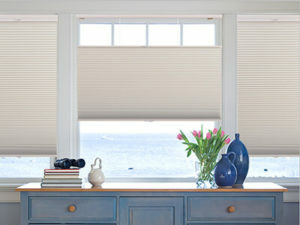 The LiteRise® operating system by Hunter Douglas makes raising and lowering blinds and shades easier than ever. It’s designed to hold blinds and shades securely in any position without the constant need to adjust. Simply push them up to raise and pull down to lower. This design gives you a clean, uncluttered look that is safe for both children and pets. Top-Down/ Bottom-Up window treatments allow you to operate your roman shades, cellular/honeycomb shades, pleated shades, and more from either angle (top or bottom) to meet all your privacy needs while still giving you access to natural light. 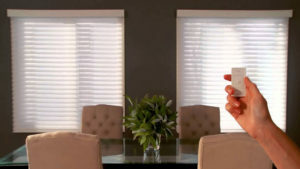 Spring assist is a traditional operating system specifically for roller shades which allows you to adjust your window treatments with a slight tug to the bottom. Going cordless is one of the best ways to avoid dealing with unsightly cords that clash with décor, to prevent tangling, and most of all, to add safety to your home or commercial space. For more information on which option is best for you, or to schedule your free consultation, contact us today!